Had to stop reading Thomas Mann’s Doctor Faustus, because I was just toooooo bored. Was initially charmed by Doctor Faustus‘ narrative voice, but got a hundred pages in and nothing had happened yet. Also, way too much theorizing over musical stuff that I didn’t understand. I don’t know, maybe in 5-10 years I’ll be ready for this one. Still, it’s disappointing to have to drop a book that you’ve really been looking forward to. I loved Buddenbrooks so much that I was sure I’d love his other great novels. But, you know, he wrote BB when he was 26 years old, and he wrote this one like 40 years later. So there’s a bit of a change there. This is the second major book that I’ve abandoned partway through this year (the first was George Eliot’s Daniel Deronda). I don’t know, I just have no desire to slog through something I’m not enjoying, especially when there are so many enjoyable things out there! 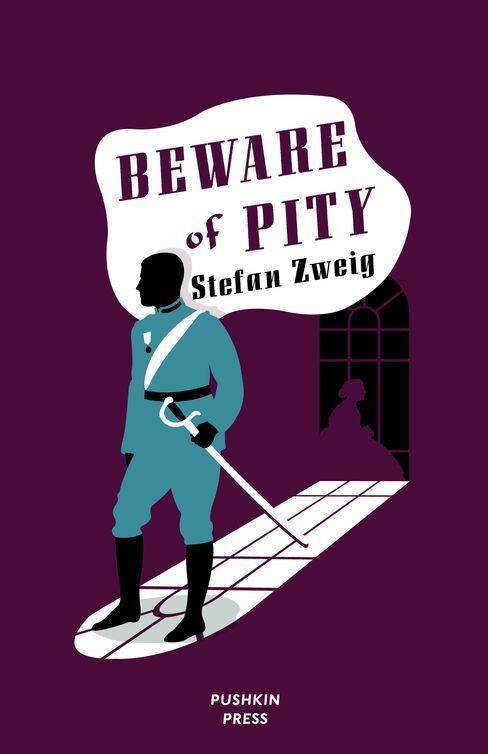 Right now I’m about a fourth of the way into Stefan Zweig’s Beware of Pity and it is thoroughly charming! It’s all about a young lancer who’s slowly maneuvered into (I presume) marrying a young woman whose legs have been atrophied by polio. The main character is such a change from most of the main characters in these books. He’s not an intellectual. He’s not worldly-wise. And he’s also not some pampered young thing who knows nothing of the world. He’s just what he is: a twenty-five year old army officer who knows all about the things he’s supposed to know about and nothing about the things he’s not supposed to know about. He’s slept with a dozen women, but he’s never really had a female friend. He loves to ride, but is not sure if he enjoys being a cavalry officer. He has good manners and knows how to dance, but agonizes over how to apologize for little missteps. He’s so wonderfully human. I’m not terribly familiar with Zweig. This is the only novel of his that was published during his lifetime: he was primarily a writer of short stories and novellas. I think his most famous novella is The Royal Game, which is about two chessmasters playing a match on a cruise ship (people say it’s a metaphor for the relationship between nations, I dunno). I read that one when I was an undergrad (after seeing an exhibit on Stefan Zweig while I was visiting Vienna, Austria, mmm hmmm hmmm). But I never sought out any of his other work.